The prestigious North American legal directory Best Lawyers has included one more year Antonia Magdaleno in its ranking of the best attorneys in Spain in the practice of Insolvency and Reorganization, our country´s equivalent to the specialty of Bankruptcy law. Best Lawyers publishes from five years a reference guide of the Spanish best lawyers in the different fields and specialties of law practice. 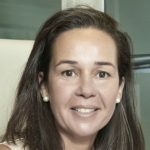 With the mention of this year, now has four editions in which Antonia Magdaleno has distinguished as one of the most important professionals in Spain in Bankruptcy. A distinction is confirming continuously since 2009.